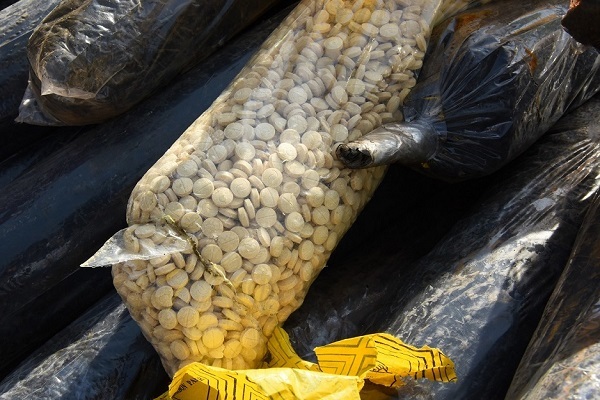 Jebel Ali and Tecom Customs Center officials said they had thwarted an attempt to smuggle large number of Captagon pills into the emirate from a neighbouring country during the last week of December. Thanks to the co-operation between different customs departments and good planning, Jebel Ali & Tecom Customs Center intelligence personnel tracked the illegal shipment and shared the information and images of the shipment through the Regional Intelligence Liaison Office (Rilo). The Rilo is a regional centre for collecting and analysing data, which also disseminates information throughout the global customs network. As a fundamental pillar of the World Customs Organization (WCO)’s Enforcement Strategy, Intelligence and Information Exchange is facilitated through 11 Rilos covering the six regions of the WCO. The Rilo was first informed of a drug shipment in a nearby country, and by analysing and comparing the data, the team at Jebel Ali & Tecom Customs Center decided to track similar shipment coming into Dubai in a container that had vehicle spare parts from a country that doesn’t normally trade with spare parts, said the statement from Dubai Customs. The container was tracked through the smart Vessel Tracking System, developed by Dubai Customs. Jebel Ali &Tecom Customs Center has made 19 seizures between 2016 and 2019. These included 225 million narcotic pills and 51 kg of other drugs. On the seizure, Ahmed Mahboob Musabih, the director of Dubai Customs, said all customs departments work and co-ordinate together to combat illegitimate trade and thwart any narcotic drugs smuggling attempt. "We are vigilant and well prepared to all attempts of bringing these illegal contrabands into the UAE through Dubai entry points. The high sophisticated level that Dubai Customs reached in terms of infrastructure, equipment and the skills of their customs officers have led to more control over the emirate’s entry points and borders," stated Musabih.